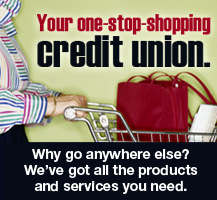 Consumers Cooperative FCU is here for you no matter what mode of transportation you choose. Plus, we have some of the best rates in town! We finance cars, trucks, recreational vehicles, motorcycles, boats, classic cars, ATV's, jet skis, and more.